So which is more dangerous? I think both. Wanting nothing will lead to a boring life (which I had for a long time), but wanting everything will lead to let downs if you don’t get everything you want. There is a balance though, and I hope to be able to find it, because everything is not all or nothing. It’s give some, take some. A golden key? If I were given a key, I’d open the door to being able to travel more often. My ‘key’ would allow me to travel to such places as Australia, Italy, Morocco, South America, island in the Pacific. It would be a dream to travel more and explore the world. There are so many places and unfamiliar cultures and peoples out in the world that I could never get tired of exploring. (I am a picky eater though…so I’m not too sure how well I’d hold up in that department.) I would love to be able to put my normal life on hold to go travel for a while, and not have to worry about responsibilities back at home. Looking into the future, I think it would be wonderful to travel as a family for extended amounts of time, maybe rent an apartment for a month or two, so that my children learn about people of the world so that they can have an open mind and know what’s out there. If it’s a real key though, I’d probably have a key to the bank so that I can use it to access money I can use for my travels. 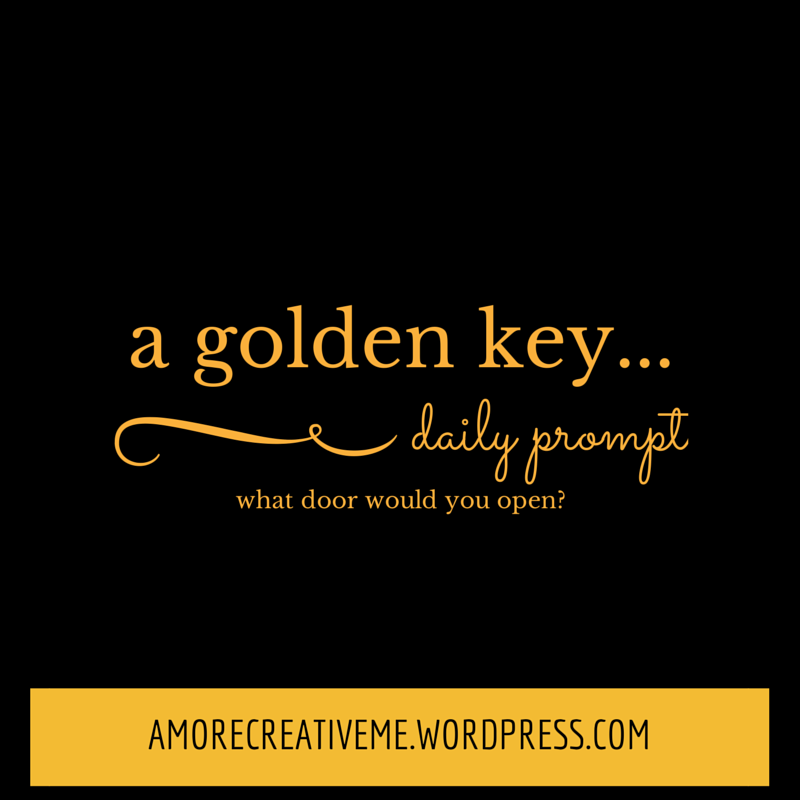 What would you use a golden key for?